Canadian oil producer Cenovus Energy (TSX, NYSE:CVE) said Monday it had reached an agreement to sell its Suffield crude oil and natural gas operations in southern Alberta to International Petroleum Corporation for $512 million in cash. The Calgary-based company noted the parties also agreed to a deferred purchase price adjustment that gives it the chance to benefit from potential additional payments of up to $36-million. Net proceeds from the deal, as well as those from the sale of its Greater Pelican Lake assets, would be used towards reducing Cenovus’ $3.6-billion asset-sale bridge facility, the firm said in the statement. Cenovus has been steadily falling out of favour with investors since March, when it announced the acquisition of oil sands and conventional assets from Houston-based ConocoPhillips (NYSE:COP), along with a plan to raise $3 billion by issuing new shares and selling its Pelican Lake and southern Alberta Suffield operations. News come as Cenovus is trying to win over investors upset by its recent $17.7-billion acquisition of oil sands and natural gas assets from ConocoPhillips. Its shares, which have fallen about 32% in New York and almost 38% in the Toronto exchange so far this year, were up almost 3% in the US during pre-market trading at $10.56 on the announcement. Its chief executive officer, Brian Ferguson, has decided to retire next month, but plans to stay as an adviser for another five months as the firm is in the midst of selling up to $5-billion worth of holdings to pay for the assets it bought from ConocoPhillips. There has been recent progress on the offloading of assets front. In early September, the company confirmed the sale of Pelican Lake to Canadian Natural Resources (TSX:CNQ) for $975 million in cash, with the deal expected to close by the end of the month. The sale of the Suffield assets, which include Cenovus’ properties on Canadian Forces Base Suffield and the adjacent Alderson property, is in turn expected to close before the end of the year, subject to closing conditions. Cenovus has been one of the very few companies to revive deferred projects in the oil sands sector, following a recovery in crude prices. 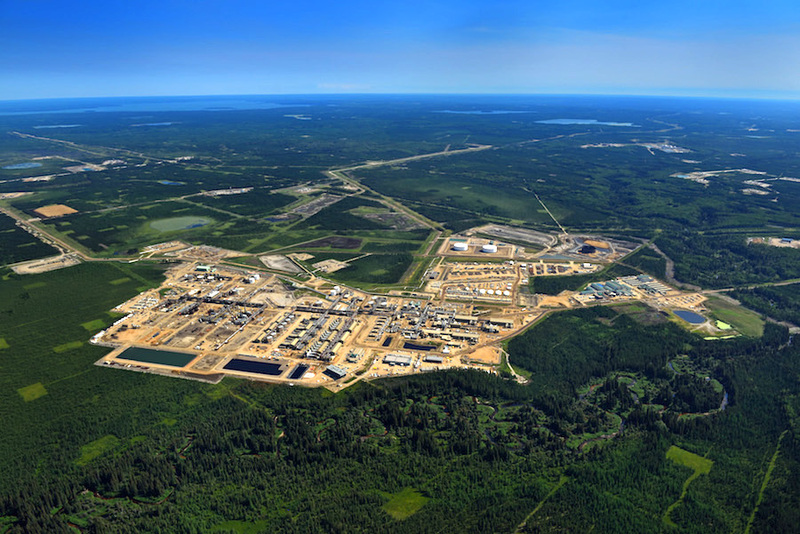 Last year, the company resumed the expansion of its Christina Lake oil sands project, in northeast Alberta. Two more projects under review, known as Narrows Lake A and Foster Creek H, could add 75,000 barrels per day of new capacity in coming years.